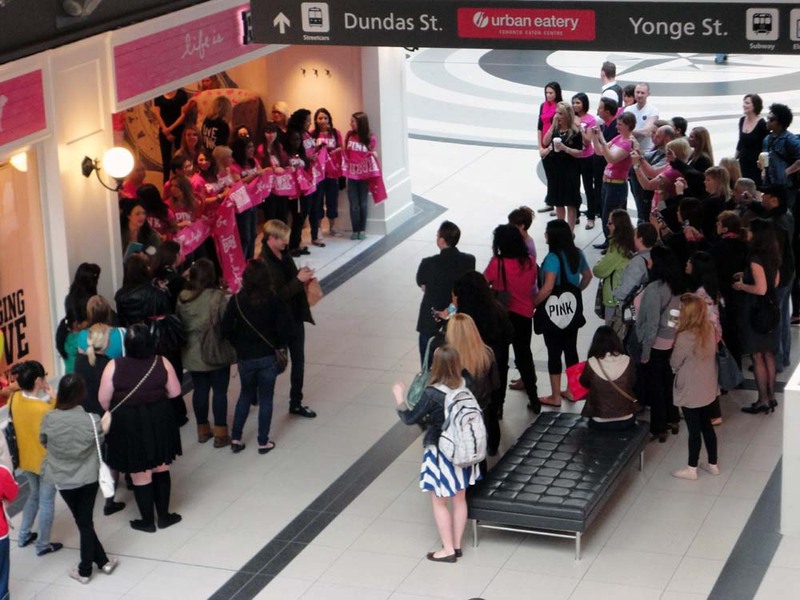 The #Toronto Eaton Centre had the Grand Opening of PINK, Victoria’s Secret little sister, on Thursday, April 19, 2012 at 10am. A small crowd had gathered outside while inside the store sales associates raised occasional cheers as 10am approached. When finally they rolled back the barrier the sales staff made a long line with a pink ribbon and ceremoniously cut it with extremely large scissors, then joined with the people waiting outside the store with a round of applause. See more of the opening and the large pink ribbon being cut, after the jump. The chain was started in 2004 and markets to tween and college age women (and a little older with all those yummy mommies) with their brand of lingerie and women’s wear. It is supposed to be a little less expensive than the Victoria’s Secret line of clothes. 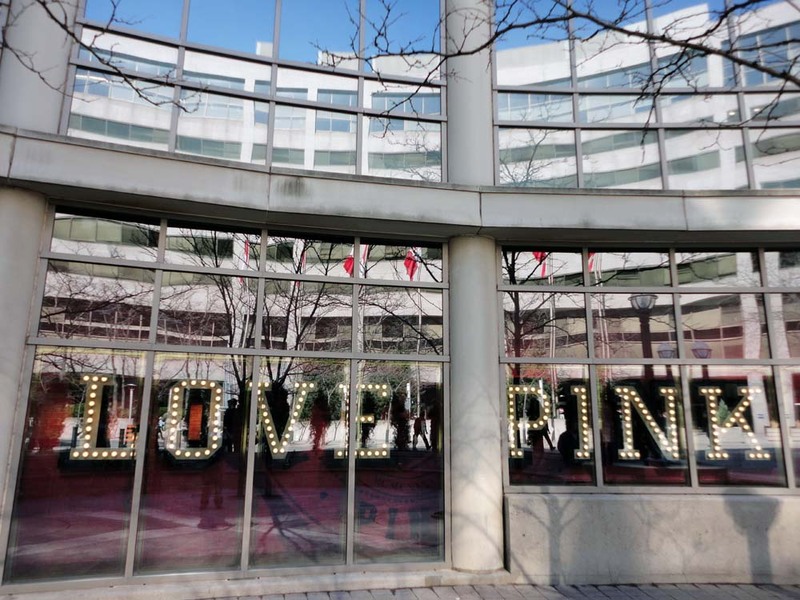 You generally can’t miss the people with PINK outerwear – the clothes say ‘PINK’ or ‘LOVE PINK’ in large letters displayed on their asses or other strategic locations. Those entering the store were passed a small goody bag that included pink salt-water taffys, a sucker and a PINK pen all tied with a PINK branded band. 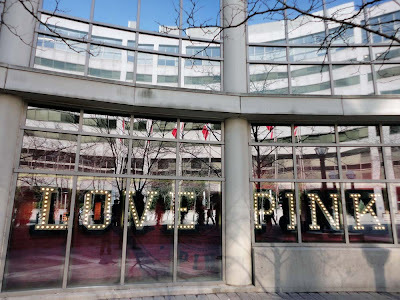 I was disappointed that they did not bring any of the Victoria’s Secret Supermodel Angels to help christen the brand new store which is located in the centre of the mall, directly across from the existing Victoria’s Secret store. They did say that a model would be coming by on April 30th.